So awhile back (wow, 3 years already), Mars added variations to all of their candy bar flavors. Snickers got Rocky Road (hard to find), Twix got peanut butter (hard to find), and they added a Milky Way flavor. There wasn't a whole lot of movement on this lineup since then until they decided to switch all the flavors to light ice cream, because what makes lackluster ice cream better than switching from regular to light ice cream? (wait, that wasn't very nice). Oh, and where did the website for these ice creams go? Yeah, that's never a good sign. ...was just me digging in to the pint. Ugg, yeah, the ice crystals on top were a worrisome sign of freezer burn and this one is pretty gritty. Let me give it a few minutes to settle.... Ahhh, a little better. I do remember why I never bought these again, they are lackluster to put it simply. 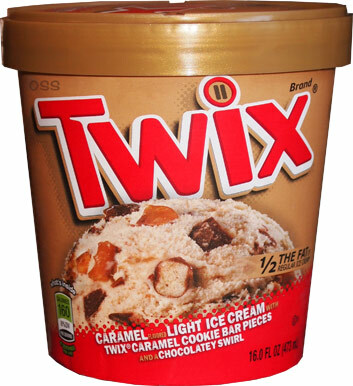 I mean I get a hint of twix vibe, but overall, it's just kind of blah with an occasional tiny chunk of Twix. I smooshed up the last half serving so I could focus on flavor instead of texture and it's not like this is a terrible ice cream, it's just that it doesn't live up to it's name in anyway, especially when we have the tasty Twix ice cream bars to devour instead. Look, Mars tried, but if you ask me, and if you want to sample these, you might want to scoop these before they fade from existence forever. 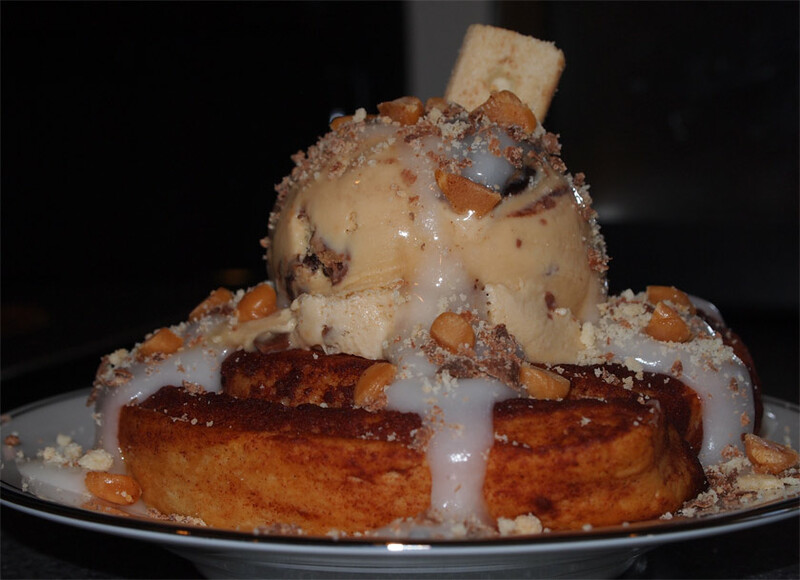 I'd say the best part of this ice cream may be the epic sundae you made with it ;) Good job on that! So I recently tried the M&M pint and it was okay, but my main thing is when did they switch to "light ice cream" because that is what mine said. Is there a difference in ingredients now because of the switch? I wrote this post at the beginning of the year, but I can't give an exact date, the switch could have been last year as well. 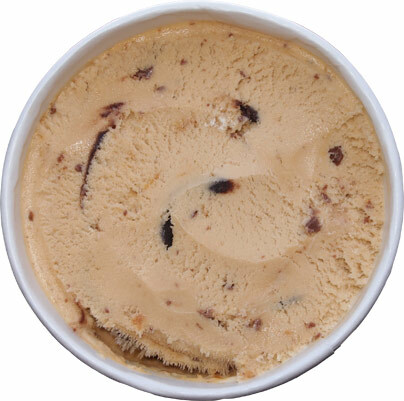 I saw the new pint design but it was awhile before I looked close enough to see that it had switched to light ice cream.